Opportunity like this does not come every day. 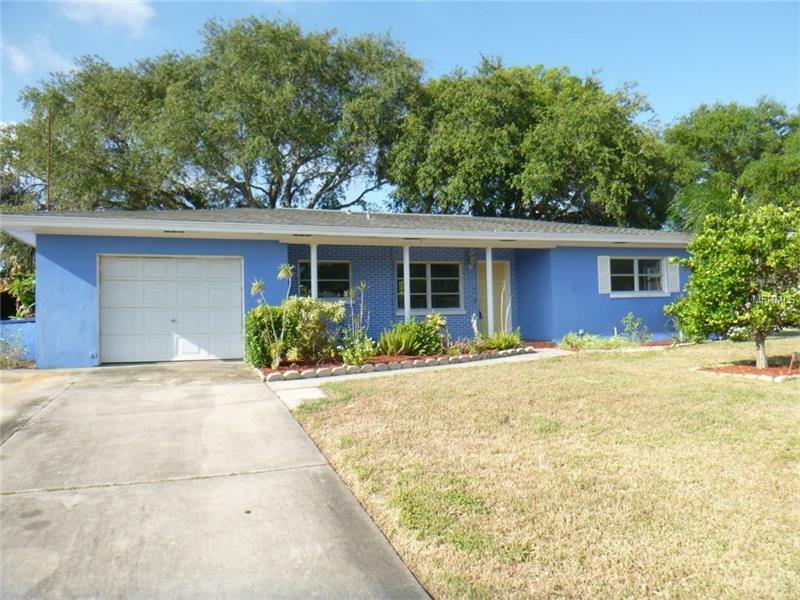 Please welcome the newest HomePath Property listing to Largo! At over 1500 heated square feet, this mid-century concrete block ranch home sports two spacious bedrooms, three full bathrooms, and an attached garage with mini-workbench to boot. Just needing your personal touches, evident updates include newer garage door, well pump, and kitchen. There are lots of windows to let in the light or to let in the eventual winter breezes that are coming up. Lush landscaping includes beautiful flowering shrubs and tasty fruit trees. Just about walking distance to George C McGough Nature “turtle” Park and about a two minute drive to some of the world’s best beaches at Indian Rocks Beach sits your potential new home. The square footage listed includes the enclosed porch, which is heated and part of what could be an excellent functional third bedroom. This is a Fannie Mae HomePath Property.